Today is President’s Day in the good old USA. In honor of that, we are bringing back one of our favorite post of the past: our President’s Day Quiz. Test your knowledge … and find out who loved watches. 1 – A) What President was the first to refuse (initially) to accept his salary? B) Which other President declined his salary? 2- Who was the first president to be born in a hospital? 3 – Who was our shortest president? 4- Who immediately gave away and never wore a Rolex watch from Marilyn Monroe? 5- Which President’s likeness (in the form of a drawing) was used in a Heuer ad? 6- Who reportedly wore a Timex while in office? 7- What was the most popular clock given to US presidents? 8- Which Rolex watch is nicknamed the President and why? 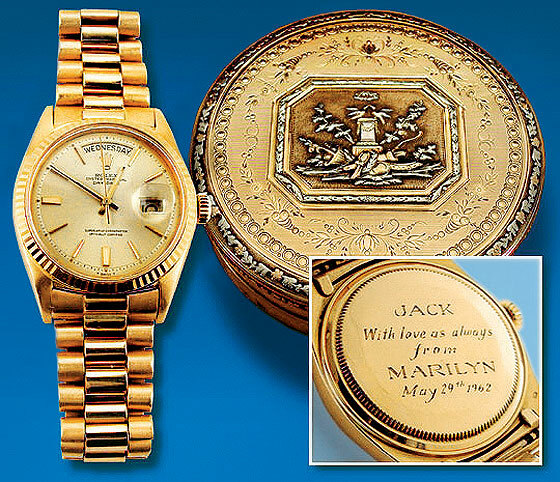 9- What was the most coveted alarm watch owned by multiple presidents? 10- What watch did former President Barak Obama wear in his official portrait completed upon his departure from office? 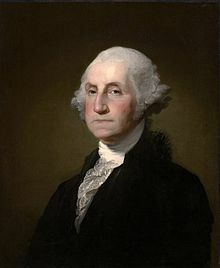 1– A) George Washington at first refused to take his salary (but later accepted his $25,000 pay). B) President Trump refused to accept his salary, and, instead, has been donating each quarter’s salary to a different department or cause. 10- After completing their final term, each U.S. President has a portrait painted of themselves that will grace the walls of the Smithsonian National Portrait Gallery in Washington, D.C. In his portrait, former President Barack Obama is wearing a Rolex.